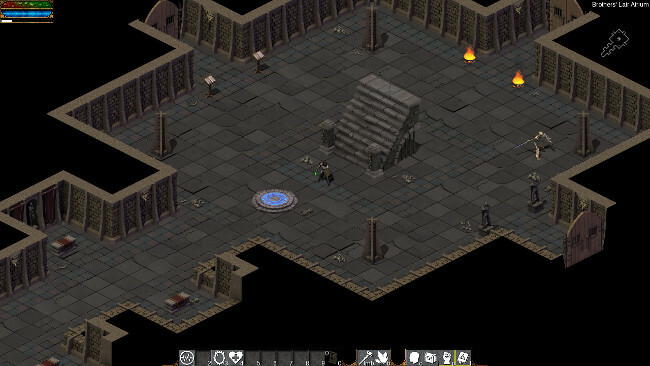 If you love RPG (role-playing games) and you think there's no future for these games on Linux, this post is for you. I’ll show you five new RPG games developed from scratch that run on Penguin: Questverse, Hale, Dawn, Flare and Arakion. Just a warning: these are projects in the making, so none of them are ready to be fully played. But if you like this genre, read on, you won't be disappointed. Questverse puts you in the role of an agent of the galactic quest agency. Your task? Make a living! To do so, you will need to accept strange quests so you can receive a reward for your ability. Maybe things will go far beyond what you expected. Create your character (currently just Nightkin and a female, Solarians are planned), choose your race (from two), looks, powers, skills, and personal details. Easy to learn, no loads for RPG stats; more about role-playing with your character. Length limited by the number of quest packages you have. No two games will be the same; randomness and non-linearity. Learn facts about the cosmos. Combats will require more thinking than just attacking your opponent until one side is defeated; gameplay will also require some thought. Original history, characters, and concept. 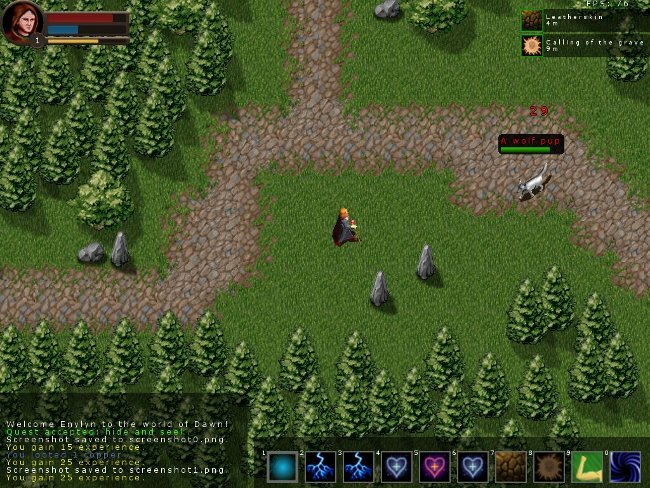 Hale is a RPG with a turn-based, tactical combat system. This game is playable and has a lengthy campaign included with easy support for the creation of additional content. Cross platform support through the use of Java. Windows and Linux are supported. A complete, lengthy campaign is included with the game. It includes many enemies, loot, item crafting, and a variety of areas to explore. Deep, tactical, turn-based combat on a hex grid. Extensive support for modding with no programming required. New adventures (called "campaigns") can be built from scratch using the included editor. A clean and efficient user interface built for use on a PC. Dawn is a 2D RPG set in a fantasy world. In the start you can choose a race, class, and alignment to create a unique player experience. Gain experience through quests or slaying monsters in order to level up and gain new skills, spells, and more! The game is set in a typical medieval fantasy world with monsters, magic, and different races. For those interested in the history of Dawn and where the hero comes from, read the prologue of the story on the official website. 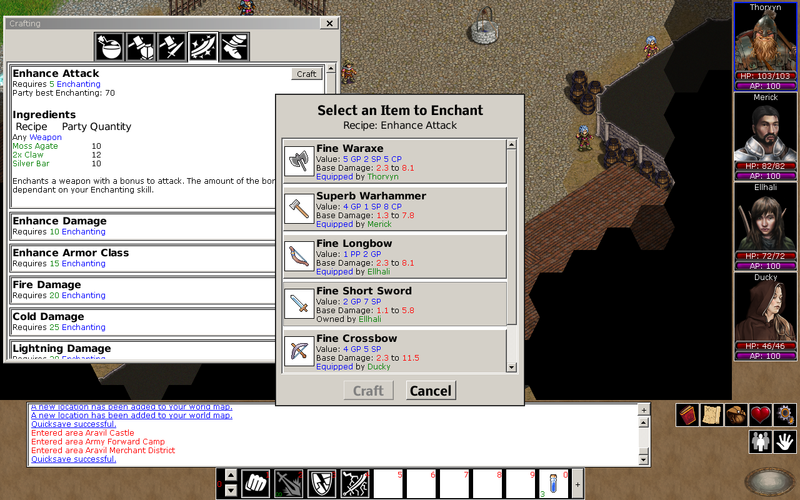 Dawn is written in C++ with SDL for graphics and sound, and LUA for our spells, items, and quests. License: GPLv3. FLARE (Free/Libre Action Role Playing Engine) is a free project that aims to provide a specific game engine to create 2D action role-playing games. The Flare project has already managed to bring to light the first RPG game made with this new engine in just over a year. The new game has a fantasy background and we can explore the dungeons of a castle. In Flare is based on 'hack & slash'. In a nutshell, you should kill all the monsters that appear in front of you to gain experience, cash and bounty. The graphics are really good with the release of the new version 0.17. There are a number of improvements and above all, new menus and gameplay are completely redesigned. Flare uses simple file formats (INI style config files) for most of the game data, allowing anyone to easily modify game contents. Open formats are preferred (png, ogg). The game code is C++ and available for the most common distributions (and amigaOS) and on Desura. The Arakion project has successfully raised enough cash to bring the game alive in only a few days; showing the interest around this title. Arakion is a modern take on a classic RPG formula. You’re put in control of three heroes trying to survive a world devastated by war. Adventuring in Arakion will take you across open land, into deep dungeons, and even put you in control of rebuilding a desolated town. A great evil, nearly destroying Arakion in ages past, has returned. It is up to you to create a band of heroes to fight this darkness. The game takes place on two continents floating in the sky, as well as hundreds of minor islands. Arakion has been marred by war and strife for thousands of years and the landscape is a reflection of that. 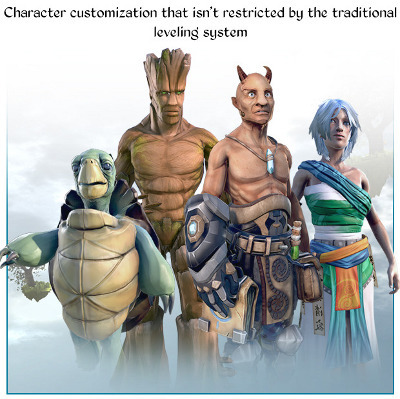 Character customization in Arakion is a refreshing take on the RPG Level-Up formula. Instead of skills and stats after X experience, your choices throughout the game affect your heroes. You did what with my weapon?! Each character only starts with one weapon, one set of armor, and four skills. You’ll use the materials you find in the world to shape and morph your characters into the heroes they’ll become. Town Building! Using building blueprints you find, the people you rescue, along with the help of a mysterious stranger, you’ll use ancient devices to rebuild a lost town. You’ll have to choose wisely however, as some building decisions permanently prevent other choices. Combat! Combat in Arakion allows you to choose real-time, turn-based, or a unique blend of both. The core system of Arakion takes two old-school styles of gameplay and merges them into one seamless combat experience. Adventure! You’ll adventure through dozens of dungeons, castles, and open world areas while finding hidden passageways, collecting materials, and crushing your foes. Story! The game features a deep and engaging storyline that spans generations. As you play through the game you’ll learn about the history of Arakion and your heroes, as well as take part in shaping your heroes past with a unique trait system. Originally posted on Linuxaria. Reposted under Creative Commons. Riccardo Capecchi - Unix/Linux system administrator since 1999. In my spare time I writes articles about the open source world on my blog at linuxaria.com. Anybody know where I can find some business-style RPG games for linux? You know, like starting with nothing and building a business empire? They all seem to be fantasy games, which I don't get into as much. Any ideas? Eve Online has the most advanced economic system in gaming. CCP has a dedicated economist who actually watches over the whole system. Some people who play the game only deal in the economy by either buying low/selling high or producing the hundreds of items used in the game. Check it out. yes but its not on linux yet. Agreed, amazing economy though.. I know it's not same as native port, but EvE runs rather nicely via wine.